Barbados-based rum brand Bumbu has launched its first marketing campaign starring rapper Lil Wayne. The commercial sees Lil Wayne partying with both women and goats – a visual reference to the advertisement’s slogan, G.O.A.T., or “greatest of all time”. The party kicks into high gear when the rapper asks someone to “pass the Bumbu”, which the ad claims is the G.O.A.T. among rums. The commercial was directed by Eif Rivera, who has previously directed music videos for stars including Kanye West, Nicki Minaj and 50 Cent. 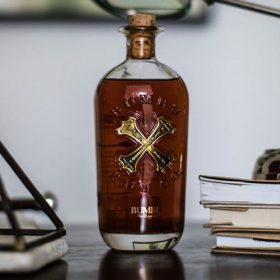 Brett Berish, CEO of Sovereign Brands, owner of Bumbu, said: “Bumbu is a small-batch, limited production rum and we’ve been fortunate to have more demand than supply since it was first released. “Lil Wayne was one of the first people to see it and became one of our earliest supporters.